Radiant heating happens when the infrared energy of one item transfers to another. A common analogy is the way the sun burns your skin regardless of the air temperature around your skin. You have to consider the application when deciding the advantages and disadvantages of radiant heat. An advantage in one use could very well be a disadvantage in another. The sun is a very large radiant heater. Many kinds of radiant heat are used in buildings, but radiant heat for this purpose has some universal advantages. It doesn't use duct-work, so the ducts don't have to be reheated each time heat is called for. Since radiant heat doesn't depend on blowing air, it doesn't distribute air pollution and allergens. Radiant heating panels are the quickest to heat an area, and they eliminate the constant heating of rooms that aren't regularly occupied. However these panels are expensive to run, and you need to be close to them to feel the most warmth. While radiant floor heat is called radiant, it really isn't completely radiant by the classic definition, according to the US. Department of Energy. Since radiant floor heat relies on heating up the flooring material through convection, it's quite different from true radiant heaters. This type of heating comes as air-circulated, electric radiant, and hydronic. The disadvantages of air-circulated floor heating is that it isn't cost effective for residential use even when combined with solar. Electric radiant floors offer a good solution for additions when it isn't possible to use the existing heating system for the addition. Electric radiant floors are also advantageous when the local electric company permits time-of-use rates so they can charge up the thermal mass in the floors when rates are low. The disadvantage is that these floors are expensive to operate when time-of-use plans and thermal mass are not available. Hydronic radiant systems are liquid-filled systems in which the liquid is heated in a boiler. A pump circulates the liquid through tubing just below the floor surface. These systems are the most popular radiant floor heating systems. 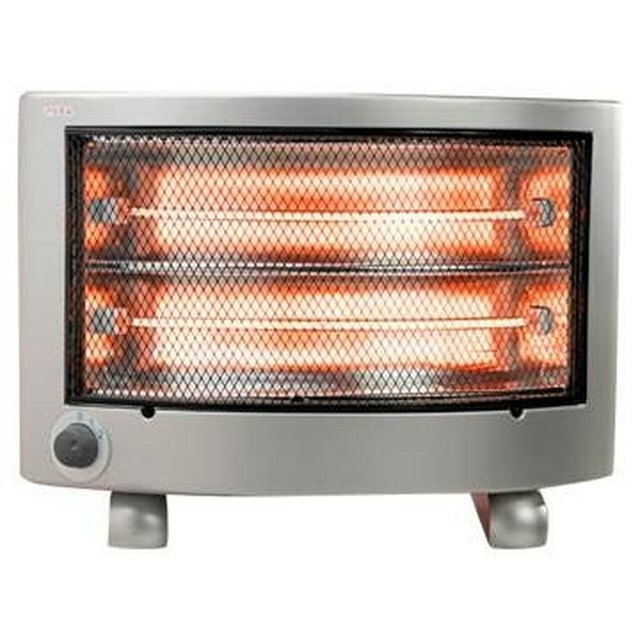 They are reasonable in cost to operate, and they make a space feel evenly warm. The disadvantage is that if the floors do not have a thermal mass, like concrete or ceramic tile, the operational cost goes up quickly. Also, when there is adequate thermal mass, it isn't cost effective to do thermostat setbacks when no one is home or at night. You can heat saunas with a type of radiant heat called far-infrared. This makes the sauna easier to breathe in, it costs less to operate and the heat penetrates deeper into the body tissues. The downside is that for some people, the lack of steam will not feel as relaxing or invigorating Radiant equipment designed for heating reptile vivariums stays cooler than alternatives, and it better simulates sunlight. If operated without a thermostat though, this equipment may overheat the space.